USF’s 20-13 win on Saturday night against ECU was far from its prettiest win ever. In fact, if the game were a Clint Eastwood film, it would have been The Good, the Bad and the Ugly. If USF had opened AAC play by losing to an ECU team that went 3-9 last season, there would have been no salvaging the rest of the season. Forget about the War on I-4 rematch on Black Friday and forget about a conference championship — it’d have all ended on Saturday night. The Bulls’ victory was the 150th in program history. 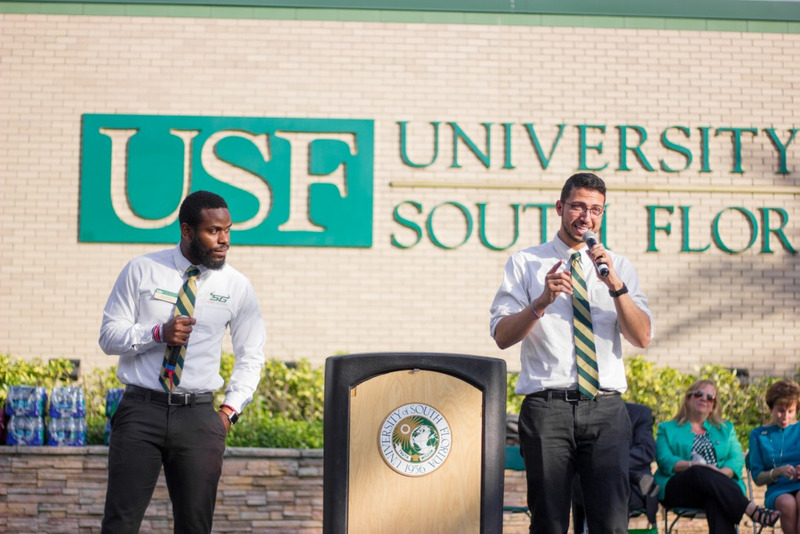 USF became the fastest FBS program in the state of Florida to reach the plateau, doing so in its 255th game, which surpassed the Gators’ previous record of 258. Entering Saturday night, USF’s defense had allowed an average of almost six yards per play. Holding the Pirates to almost two yards below the season average is a huge victory for a defense that has had its fair share of struggles the first three weeks of the season. The 96 plays that ECU’s offense ran on Saturday night was the most plays allowed by a USF defense in program history. Perhaps it could be argued that only allowing 13 points on a night the opposition snapped the ball just shy of 100 times is a good thing — a gritty, bent-not-broken victory, if you will — but it’s just hard to justify letting any team’s offense spend that much time on the field, points allowed or no points allowed. Given the previous number, it’s not surprising that the Bulls’ offense only had time to run 52 plays. It was the first time since Oct. 21, 2016, that USF ran fewer than 55 plays in a game. For a fast-paced, up tempo offense like USF, there was just never any rhythm on Saturday. Quarterback Blake Barnett had virtually no support from his offensive line, getting sacked six times on Saturday. Some of them were downright vicious looking. It was the most sacks allowed by a USF offense since Oct. 21, 2016. Through three quarters, USF ran for a net gain of 31 yards. If not for Jordan Cronkrite’s 80-yard touchdown run in the fourth quarter, USF’s rushing total would have stayed below the century mark for the first time since Oct. 31, 2015. After Cronkrite’s 129 yards — aided mostly by the one play — the next leading USF rusher was Johnny Ford with 13 yards. After two straight disappointing games, this might be the best time for the Bulls to step back and regroup before heading on a two-game road trip to UMass and Tulsa. With or without a bye week, though, USF needs to be better than it was against ECU.